Today's featured Better Know A Blogger is Mel. I adore Mel's blog. For one it's beautiful and relaxing but she also tends to review books that might not be on my radar and I love finding new books! That's what blogging is all about. Introduce yourself! My name is Melissa and I am Teen Librarian at a public library. I am happily married (soon to be 9 years) and have a son who is three. 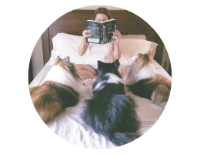 I love to read and spend time with my family. What is the name of your blog? (include blog link) How did you pick your blog’s name? 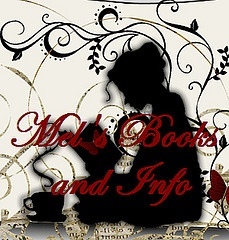 My blog is Mel's Books. Not a very creative name, but creativity has never been my strong suit. When I created my blog, it was just what popped into my head. How long have you been blogging? My very first attempt at blogging, although a rather pathetic attempt was on March 2, 2006--I started a live journal blog to see what blogging was all about. We had talked about doing a blog for the library and I wanted to know what I was doing before I ever attempted it for work. On October 10, 2008 I started Mel's Books and Info in blogger, but didn't seriously start book blogging until January 2010 when I started getting more involved in the book blogging community. Up until that point my blog was just a way for me to keep track of what I was reading, and I really didn't expect to have followers. Then I started following other people, and participating in events online, and got hooked. I love it. How do you measure blogging success? Is it strictly number of followers or something more? I love my followers, but I love comments most of all. I like to measure success by the feedback I get from a post. Comments are my favorite because I know that somebody has read what I wrote and whether they agree or disagree with me, they took the time to read what I said. What genres/subgenres do you review, and what do you like best about those genres? I mostly review YA Fiction. I am a teen librarian and so this really helps me out with my work and staying on top of my collection development and readers advisory at the library. I tend to gravitate towards fantasy, but I will try just about anything. On occasion I will throw and adult review on the blog, but not very often. Do you use social media to promote your blog or discuss reading/blogging? I do Tweet (@wheems01) and I am on Goodreads as well. What are your ideal reading conditions? I'll admit I get more reading done when no one is around, but sometimes I get easily distracted when that happens. I usually read while my husband is watching TV--for some reason I am less likely to get up and do something else when he is sitting near by watching TV. What are the top 5 books in your TBR (To Be read) pile? This is a tough question, because I have the top five I want to read and then the top five I have to read. 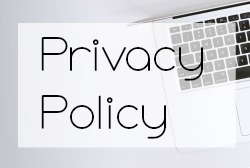 Here are the five books that I plan on reading as soon as I finish with my committee work: Gray Wolf Throne by Cinda Williams Chima, Ashfall by Mike Mullin, Iron Knight by Julie Kagawa, Glow by Amy Kathleen Ryan, and Near Witch by Victoria Schwab. Obligatory controversial question: Love triangles! Love ‘em or hate ‘em, and why? I'll admit that I am a little frustrated with them right now because I am seeing them in almost every novel I read. I don't feel strongly either way, but I think it has just been a bit overdone in recent literature. If the book is well written I can let it pass, but I would like to see more without love triangles. What has been the best thing about blogging and reviewing books? The best thing about blogging and reviewing books is the blogging community. Blogging has helped me do a better job with my collection development at my library because following other blogs and knowing what books are coming out has been a real asset to me. I just really love the support of the blogging community and how people go out of their way to help other bloggers. And of course I love the books and sharing them with other people who love tor read! Thank you for stopping by today Melissa!